Take a little time out for yourself, sit back, relax and enjoy a nice cup of tea. Having some tea each day can do wonders for your health. So, stop being anti-social this 2015, keep your phones aside, and drink more tea with your family and friends, because there are so many kinds of tea and so little time! 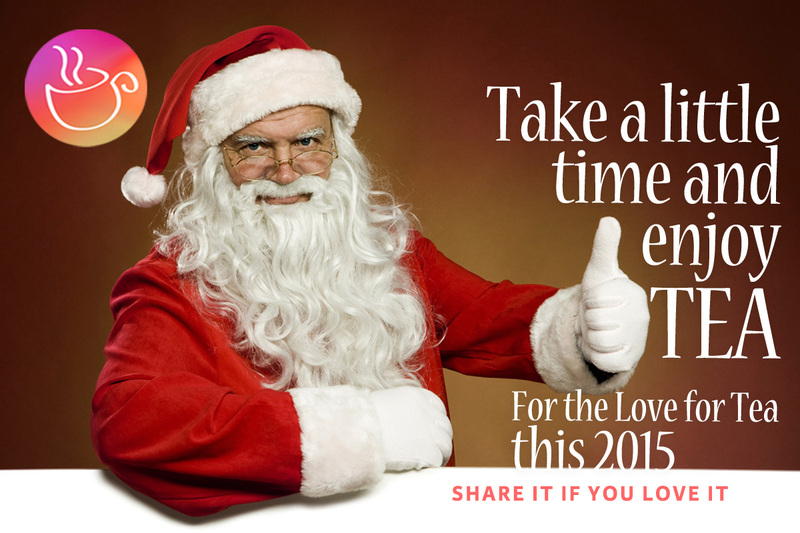 This entry was posted in Tea Greetings and tagged christmas tea, drink tea, love for tea, Merry Christmas 2015, new year resolution, santa tea, tea movement. Bookmark the permalink. It’s always important to take time out to enjoy a nice cup of tea.